You’ve probably come up with at least one seemingly brilliant business idea in your life. It pops into your head, you get excited, and know it will be profitable. But when you share with friends, family members, and mentors they tell you they just “don’t get it”. I see this kind of stuff ALL the time. And it’s even something I’ve struggled with myself. In today’s ‘internet age’, a ton of startups have the drive and adrenaline pumping through their veins they need to succeed. They have some GREAT ideas… and they’re passionate about them. In 2015, my wife showed me an ad for spray-on-nail-polish. That’s right, I got excited about a product I’ve never worn nor ever planned to. I did fall in love with the novelty of the polish, so I did what any gung-ho serial entrepreneur would do and bought $100K of inventory. This story ends exactly how you think it would. I was unable to sell the product with enough margin to make a profit. I made a critical mistake and failed to test the market first. What’s a fed-up entrepreneur to do with $100K worth of butane filled mini cans of vibrant colored paint? I’ll get to that later. 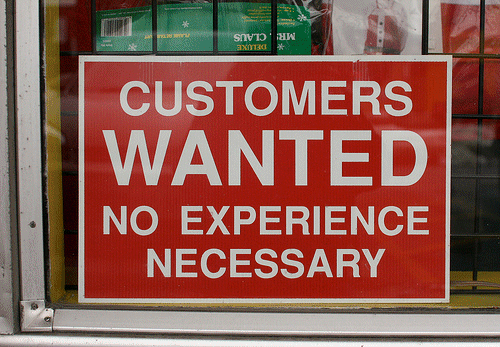 How do you know whether or not your product, service, or business idea will actually be “wanted” by consumers? What’s the solution? Most people will tell you to do market research. Validate your ideas and see if you can answer problems in your marketplace using your product. But I’m here to tell you that market research is of little help. Sure, a potential customer will say your pet centipede shoes are a great idea, but will they buy? Not just “say” they will buy but actually part with a credit card number. When You’re Passionate About Something, You Often Don’t Realize Your Product or Service Is a LOT More Interesting To You, Than Anyone Else In The Room. It was only when I managed to start looking at things objectively – from an impartial point of view – that I finally managed to get an understanding of what potential clients and customers actually want to see. It was a turning point. It’s something that, today, I PREACH to my new clients. In fact, it’s something I help businesses with today. Today… long before the 1st round of funding, my team and I develop a marketing message, build a website, set up payment processing and take a credit card (Yes, we’ll refund the client). At this stage, we’re giving investors a chance to see if the idea has some wheels long before they have dumped millions in a great idea, product, and infrastructure for something no one actually wants. It’s like market research on steroids. And alongside getting valuable insight, it gives me a chance to hone the marketing message that resonates with the end user to use when the product is ready. That’s why, no matter HOW good you think your idea, product, or service may be…You NEED to make sure it appeals to consumers. You NEED to make sure it resonates with your target audience. And, most importantly, you NEED to make sure it’s something your market actually wants. Taking shortcuts here or trusting your gut is a great way to waste time and money on a product nobody wants. I’ve seen my fair share of businesses doing this. Take the time and get feedback. Distance yourself from your ideas. Most importantly, realize your product or service isn’t always as great as you think. Because in a world filled with startups trying to convince consumers that they’re disrupting stagnant industries, it’s only the ones with truly strong ideas and growth potential that cut through the noise. So, what did I do with all that nail polish? I made a huge donation to Goodwill but saved a few boxes to take to the rifle range. I am looking forward to watching the paint cans explode in vibrant clouds of pink, blue and taupe.